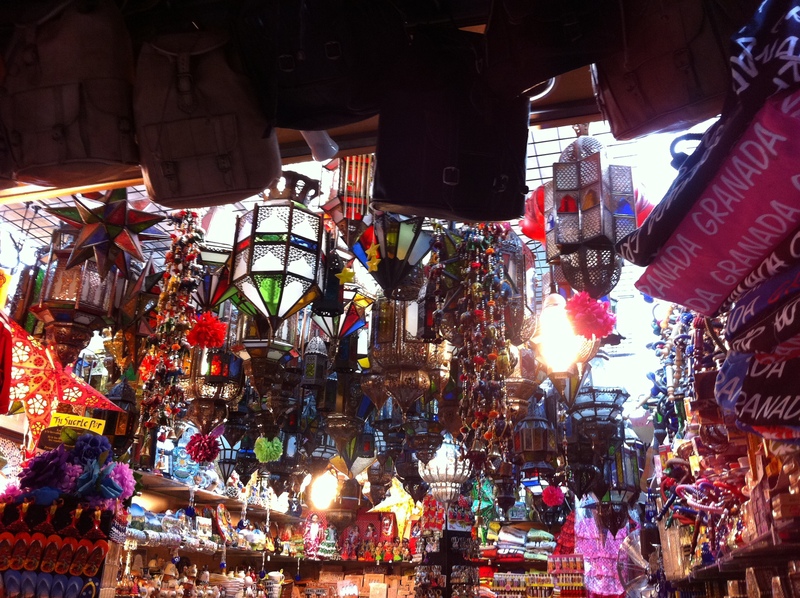 Alcaiceria – The streets just off of Bib Rambla square, it´s name derives from the arab term al-qaysariya, meaning a commercial area, it was founded in the XIV century and it´s one of my favourite areas of the city. Corrala de Carbon dates back to 1336 and was a cavaransei where the silk merchants arrived to barter with the local tradesmen. Later used for Coal hence the name Carbon. In Summer you can see Flamenco shows here in the central courtyard. Easter week in Granada is very important, it doesnt attract such huge crowds as Seville although the processsions are as traditional and equally beautiful. Generalife, In Summer no visit to the Alhambra is complete without a stroll through the Generalife gardens. The water features and the trees and flowers are exquisitely maintained. An oasis in the Summer heat. Hotels in Granada abound. 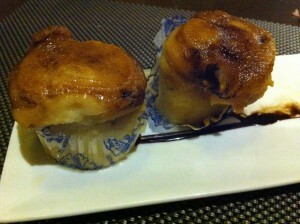 Two of my particular favourites are: NH Victoria & Hotel Peregrinos for the stylish decor and the location. Italianos, Huge queues for Ice Cream in Gran Via. 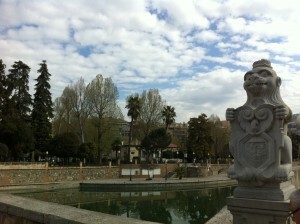 This opens every year on San Jose, 19th March and closes on the Pilar, the 12th October. It was established in 1936 and is reknown in Granada for it Cassata ice cream and other wonderful treats. 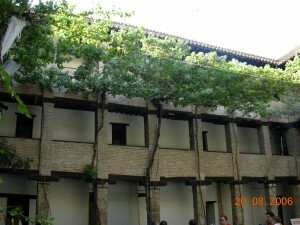 Jazz, the International Jazz Festival is held each November in Granada. There are concerts, street artists and other events attracting some of the best artists to the city. Lorenzo Boehmes wonderful book: Granada, City of my Dreams. 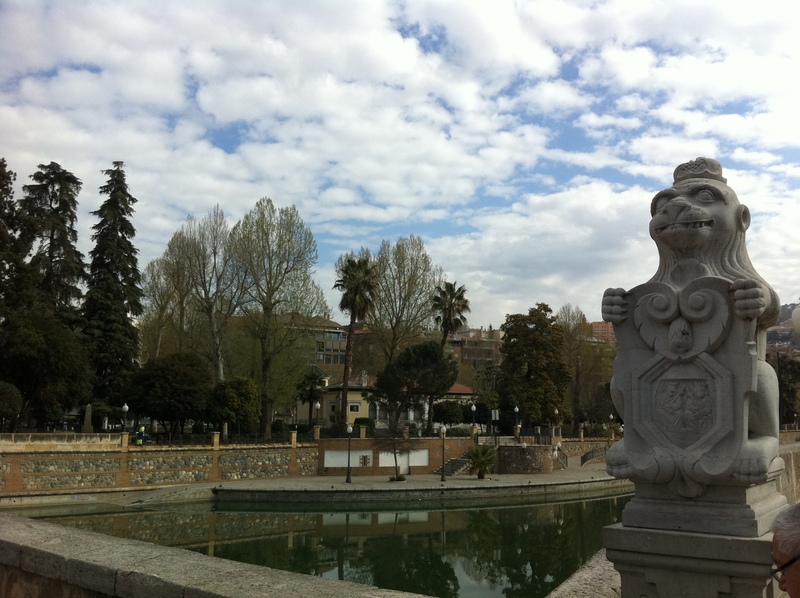 For wonderful imagery and walks around Granada to see a more hidden side of the Albaicin and Alhambra. Mirador de San Nicolas, I couldn´t miss this out. Breathtaking magical sunsets. 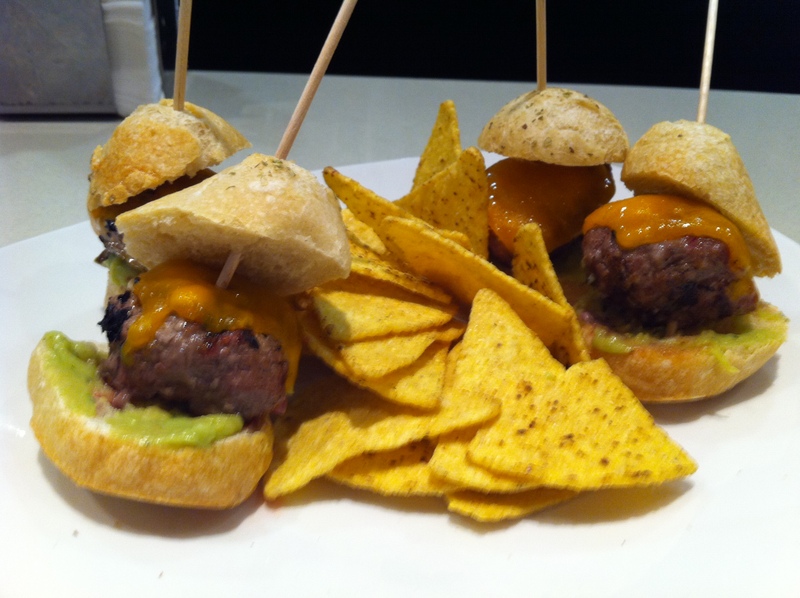 Have dinner nearby in Las Estrellas de San Nicolas or El Agua Casa de Vinos. Nightlife. Head to Pedro Antonio de Alarcon or Navas streets where there are many bars and pubs to choose from. Or to Mae West at the end of Recogidas. Om Khalsoum. On Jardines street. My absolute favourite tapas bar. Try the couscous with caramelised onion. Piononos. A typical cake from Granada, named after the Pope Pius XI or Pope Nono in 1850. You must try one if you have chance. Quince. A fruit that looks like a cooking apple, it´s grown locally and is great oven baked with cinnamon and honey. See my post on Autumn fruits for more information on local fruits. Riofrio, this town is famous for it´s caviar which has an organic certification. Visit one of the local restaurants or shops to sample this deliacy or some sturgeon. Snow. 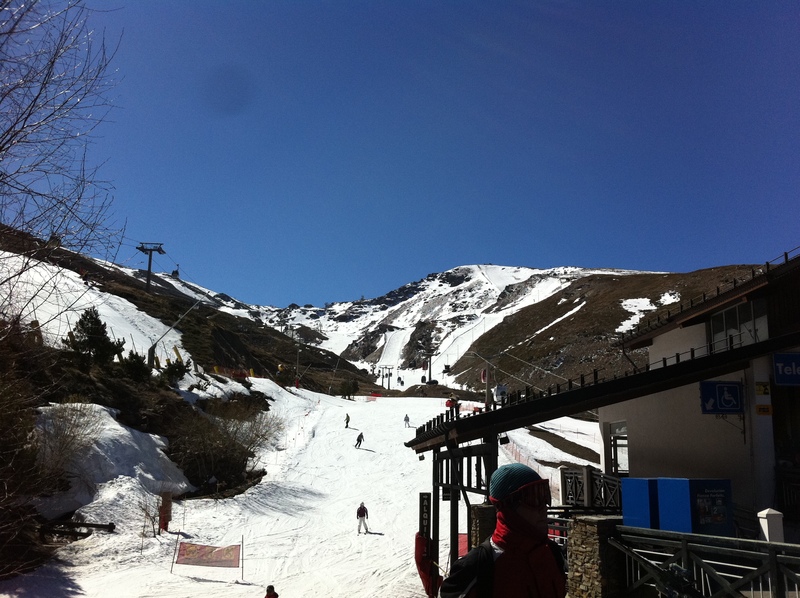 It´s a strange sensation for it to be a hot summer day in the city and to see the snow on the Sierra Nevada moutains. Skiing season is usually November to end of April. Trevelez, at 1476 meters above sea level, it´s perfect for curing Spanish Ham. When visiting the Alpujarras stop and have some ham and a beer here. Unique geography. 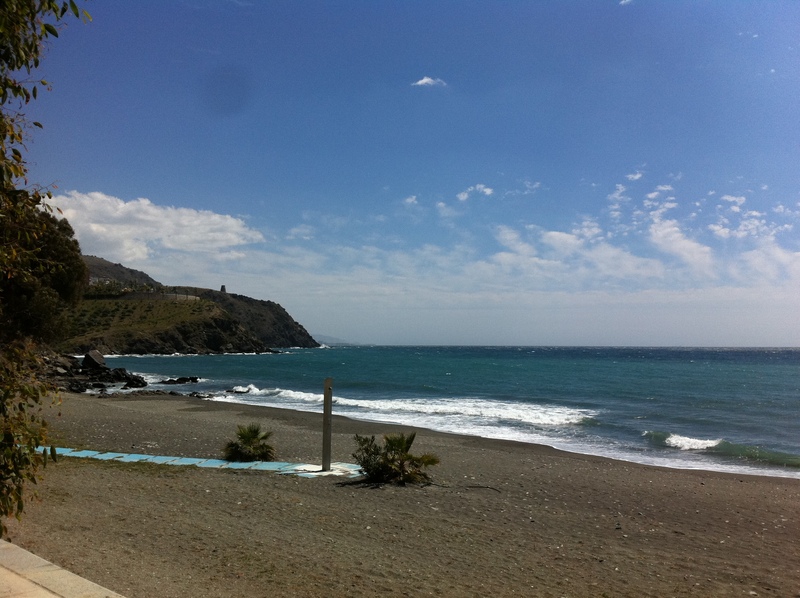 In the province of Granada you can ski at Sierra Nevada and drive to the coast 40 mins away and swim in the sea on the sameday. Amazing variety of climate, enabling excellent production for fruit and vegetables. Water Granada has it all. Aljibes which are Water storage tanks built around the city, drinking fountains, decorative water features, the Lanjaron water plant in the Spa town of Lanjaron, the amazing importance of water for the Alhambra complex, the river running neath Plaza Nueva, the river views at the Puente basilios. Xauen – Moroccan city just off Ceuta founded by the Nazrids of Granada. There is a Street in the Zaidin neighbourhood called Xauen too. Yoga, In the Alpujarra close to Soportujar there is a buddhist retreat called O Sei Ling at 1600 metres, founded in 1980, it´s a curious place to see on a road trip around the alpujarra villages. Zacatin, this streets runs between Gran Via and Bib Rambla, this was called Saqqatin in arab meaning Old Clothes market, this is one of the most commercial areas of the city with Mango, Cortefiel shops along it.